A lot of people get uptight when they hear the term 'penny stocks' so, for those with delicate sensibilities, let's come up with an nice nickname to get all those heart rates down. Something fancy and technical like “high-yielding microcap equity investing.” HiMEE, for short. I'm not sure if that sounds better, worse, or just stranger still. In all seriousness though, high-yielding microcap investing is exactly what you are doing when you buy shares of a company with a total value of $100 million or less. It's actually far more accurate than calling these stocks 'Penny stocks', because many such micro market capitalization, or 'microcap', firms trade shares at several dollars — it's all a matter of how many shares have been issued, and how many are available on the open market. The takeaway, for all who have been taught to tread lightly in this sector, is that trading microcap stocks isn't the wild-west show that you've probably been taught it was. ALL companies, at some point or another (sometimes more than once) exist, live, and breathe as microcaps. 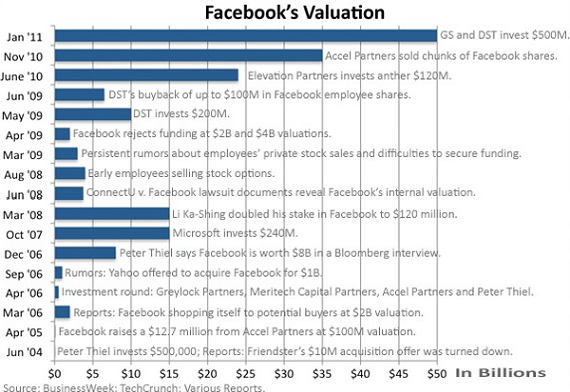 There was a moment when Facebook was valued at just $5 million... There was a time when Google stock, at its current share structure, would have been worth five cents... Same goes for Apple, and Intel, and every other company which started from square one. The problem is that none of those companies were public when they were that big — and the only people investing were accredited 'Angel Investors', a.k.a. venture capitalists... a.k.a. not everyday people who buy their stock from brokers or through online brokerages like Scottrade. It's a federally mandated rule that people with less than $1 million in the bank, or who make less than $200,000 per year (for two years or more, as a single taxpayer), cannot participate in early development stage non-public companies. Federal law takes the prospect of four and five figure gains off the table for about 99% of investors out there. And I'm not exaggerating about those gains, either. Some early stage investors in Google and Facebook made 10,000 times, or 1 million percent of, their investment. $40,000 invested in Facebook when it was a few months old would be worth close to half a billion today. 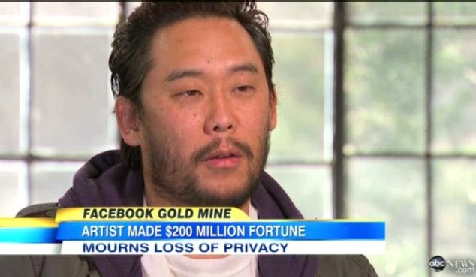 Hell, a graffiti artist hired by Mark Zuckerberg to decorate Facebook's first office, who took shares instead of cash, made $200 million. It's an injustice, and just one of the ways the government keeps the rich getting richer, and the non-rich, well, not getting richer. But if you don't have $1 million in the bank, or have been pulling down $200k or more for the last couple years, you're not completely out of the picture. Can you be a venture capitalist? Yes. Quite easily. You see, there are companies out there today that are just getting started, with the same multi-billion dollar potential, in which you can invest. They're publicly traded and, one day, they will hit the same peaks as some of today's household names. My passion is finding these companies, getting them early, and watching the magic happen. And regardless of what you may have heard about microcap stocks, there is a way to weed out the garbage. Following a few basic guidelines, you can immediately reduce a vast majority of your risk exposure. If you're seeing a pattern up there, it can be summed up in one word: 'stability'. I know, stability isn't something you typically anticipate in companies that you're thinking are on the verge of blowing up (not imploding, mind you), but it's exactly this sort of stability which sets young companies up for the meteoric growth you dream of. Apple would never have been able to develop its first commercially-successful desktop computer, the Apple II, without this sort of stability. Google would have never had the liquidity to build its first data center without it. So once you apply these filters, you're already 9/10 of the way to finding a great company. How do you get through the other 10%? Well, that's a bit more complicated, but it's also where all the money is made. Stay tuned for my weekly articles and stock coverage, and soon enough, you'll understand just how much there is to gain from de-risking the most profitable species of investment available to casual and professional traders today.